Is anyone know about new movie of Power Rangers? I knew about it and even sent an email to the person on the PR side of the partnership between Saban Brands and Lionsgate. I'm waiting on their response right now. You beat me to it, was about to post it. It was definitely expected, since it was hinted at, when Saban first took over again. But either way, glad to see that it's finally happening. Plus, Lionsgate is great, so hopefully it'll produce something amazing. No PowerRangerPlanet that was prsamuraicast sent to everyone with Youtube and Gmail when I was received today. zeoranger5 do you know what story about? @EHT30J1981, I haven't heard back from the PR representative yet. The story about the partnership with Lionsgate was posted on facebook and I got the email addresses from the last page of the story regarding it. I've only heard bits and pieces about it. I don't know the plot, cast, etc. Hopefully this movie will have the original 6 Rangers (Jason, Billy, Zack, Trini, Kimberly, Tommy) I don't care who they cast for the parts so long as they keep Jason David Frank as Tommy. Noone does Tommy better than him. He IS Tommy. They better have Green Ranger this time. Once they do a movie with Jason, Billy, Zack, Trini, Kimberly, Tommy (as Green Ranger), then it would be fine to do a movie with Rocky, Billy, Adam, Aisha, Kimberly, and Tommy (as White Ranger). Remember how the last MMPR movie turned out? MMPR (1995) A giant egg is unearthed in Angel Grove. Lord Zedd and Rita Repulsa investigate the egg, and release the creature inside - Ivan Ooze, whom Zordon had trapped him inside the egg six thousand years ago. Once released, Ooze left to seek revenge on Zordon. And now Zordon in his crystalline deathbed is dying because he has no power, without the power then Zordon of Eltar will never existed. Now the fate of the universe is in the hands of Tommy, Kimberly, Adam, Billy, Rocky and Aisha. But this time the Power Rangers head for a distant planet to gain the power needed to defeat Ivan Ooze. There's an official discussion page if you want to post your thoughts about the movie. I will try to keep up on the details there. I really do hope they use the Super megaforce cast for this 3rd film. iwill like it will fit well since its going back to its roots theme like mmpr, 20th anniversary. iwould love to see this cast in the big screen keeping the mmpr movie theme but with a little original twists/story/villians etc.. I feel it would work perfectly if the movie follows the show after it ends.. They can make Lord Zedd Rita Vrak Prince Vekar and his Father come back to the movie as the main villains (Maybe work together to destroy the rangers). and use the Original mmpr cast as mentors/guidance (they can be the Dulcea in the movie) to help them in the quest to get their powers back!.. Like I said ifeel like the cast should be the super megaforce cast why? and is will be better since what saban is going for is attracting kids from this new generation and like this movie. That's why having familiar faces like the original mmprs and the recent powerangers cast can attract both older fans and young fans now! instead of casting complete strangers.. I want to know when this new movie is ciming? 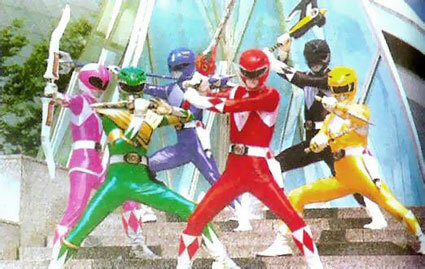 Who will be heroes Rangers and how is evil bad guy of alien or monster? PRThunder Thuy Trang (Trin Kwan) is died so can't be in this new movie. @EHT30J1981 what PRThunder meant was the characters from the show not the actual actors who played the parts back in 1993. you can have the same characters portrayed by different actors.